Londonist’s second-favourite weekend of the year is almost upon us. Open Garden Squares, this Saturday and Sunday, sees 160 of London’s private and not-so-private gardens opening to the public. SOAS roof garden. Sparse, stony, and probably the least verdant garden you’ve ever seen. Still, its attractive oriental style, and its unusual location atop the Brunei Gallery make this one a must-see. 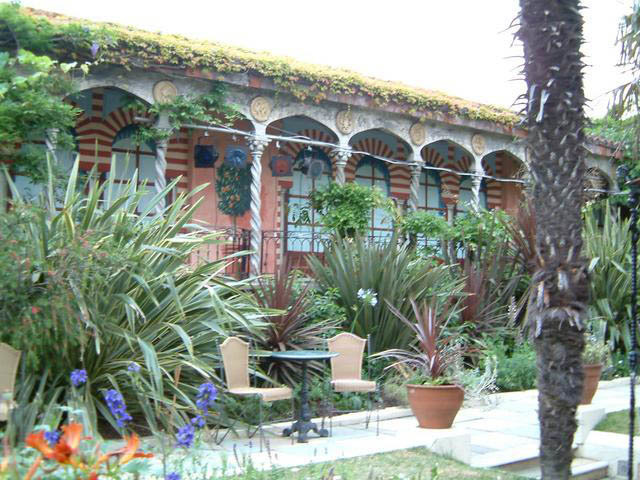 Kensington roof garden (pictured). Another elevated attraction, and a perennial favourite. The roof garden, which contains 70 full-size trees, is owned by Richard Branson. Free champagne here, if you buy Sunday lunch. Salters’ Gardens. One of those ‘hidden City gems’ that clichéd guidebooks bark on about. This dainty treat nestles between fragments of Roman Wall and a 1960s office block. Which side of the garden will you take photos from? The Hill Garden and Pergola. This sprawling garden walk near Golders Green is actually accessible for most of the year. We can say without hyperbole that this is the single greatest free attraction in London that nobody knows about. The complete list is here. Let us know your recommendations. Open Garden Squares, 9th and 10th June. Tickets cost £6 in advance, or £7.50 on the day. Price includes extensive guidebook and wine tasting at participating gardens. Image from ThisParticularGreg's Flickr photostream.